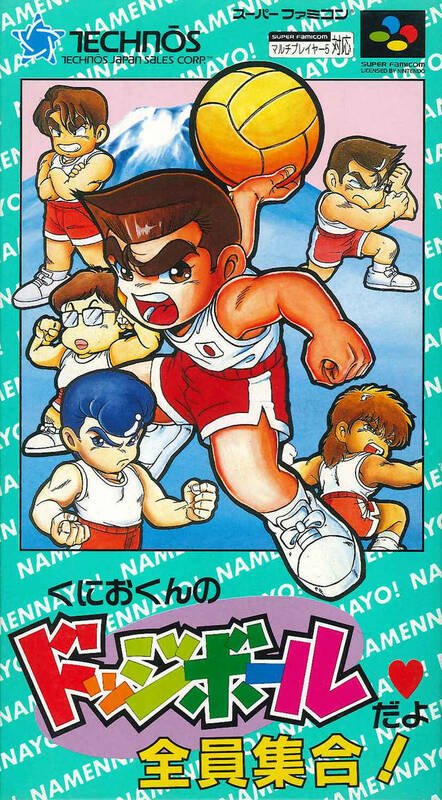 The Kunio-kun series is a long-running Japanese franchise of retro sports and action games that has seen great success in its home territory. 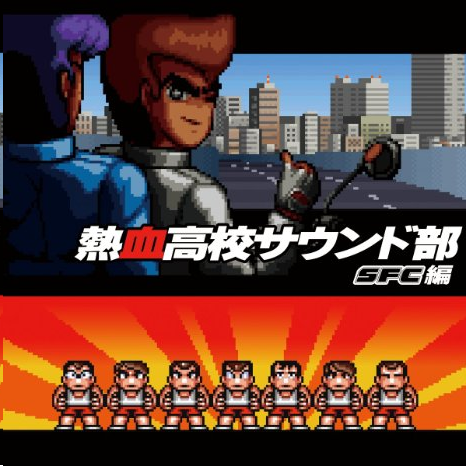 While the name itself probably doesn’t mean much to most Western gamers, the individual localizations of certain games like River City Ransom and Crash ‘n’ the Boys: Street Challenge have gone on to receive considerable popularity. Unfortunately, only a few of these games saw an official release outside of Japan, and the eventual closure of developer Technōs Japan has shifted development of new titles to other companies. Music-wise, Kunio-kun has featured a wide variety of composers in addition to various now out-of-print soundtrack releases. In 2008, the full scores to the ten original Famicom games were collected on a definitive album anthology entitled Nekketsu Kouha Kunio Kun Music Collection. Upon reviewing this collection, I gave it some positive comments and an overall recommendation for the dedicated fans of the series. Due to what I can assume to be legal issues, however, it has taken until 2015 for the music of Kunio-kun’s Super Famicom (Super Nintendo) games to see an official release. It should be noted that not a single one of these games has received a localized release. For reasons unknown, Kunio-kun remained Japan exclusive during its SFC days, and only die-hard Western fans know of their existence. 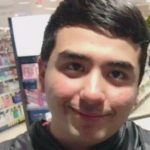 This put me as the reviewer into an interesting situation. I had never played any of the games included here, so the soundtracks to these 20-plus year-old titles were entirely new to me. Nekketsu Koukou Sound Club SFC Compilation spans three discs and five games of music and I was curious to see how the series would transition into the upgraded synth of the Super Famicom, while wondering if there was any real progression from its 8-bit predecessors. Does the comprehensive collection prove to be a worthy listen? 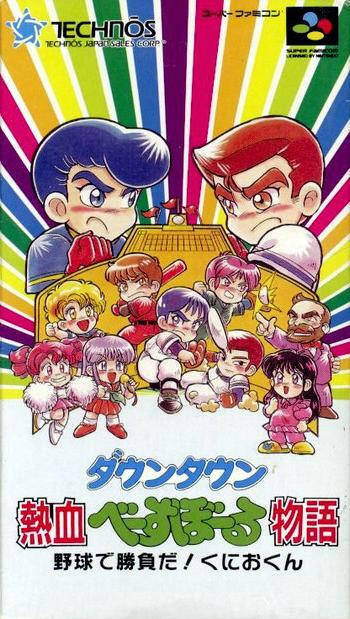 A sequel of sorts to Renegade, Technōs first game for the Super Famicom was Shodai: Nekketsu Kouha Kunio-kun. Featuring a darker story and presentation, the crisper graphics and higher quality sound proved that the series was a natural fit for the system. As for the sound, regular company composers Akira Inoue, Taku Urabe, and Michiya Hirasawa create a soundtrack that’s similar to the tunes of Renegade. It feels more substantial, but still inherits shortcomings. The first tracks, “Title,” “File Select,” and “Platform” create a light-hearted vibe that’s folksy and of easy listening. This kind of tone is further exemplified through the composers’ area themes for the game’s various locations among the game’s Osaka setting. “Umeda” carries a somewhat jazzy structure of composition, though the melody itself borders on dull repetition. Things fare slightly better with “Shinsaibashi” which has a stronger theme. I liked “Nanba” even more, particularly its bassline and brassy synth. “Ebisu-cho” shifts things to a lower octave with an interesting melody, while “Koshien Station” is a march-like tune. Contrasting against these upbeat tracks are the pieces utilized for the score’s darker moments such as the ambient “Disquiet” and “Black Curtain.” “Underground 1” and “Underground 2” are exactly of what one would expect for subterranean area themes on the Super Nintendo, harkening back to the likes of Chrono Trigger and Super Mario World, although not with the same levels of memorability. 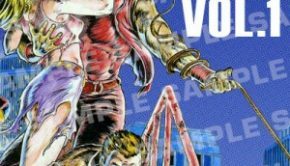 “Battle With a Small Fry” and “Osaka Harbor” are similarly composed to the underground pieces, setting the scene well enough for in-game fights, but less so on a stand-alone basis. “Union Executive 1” and “Union Executive 2” along with “Motorcycle Key” and more variety as event pieces, while “Epilogue” and “Staff Roll ~The First Medley~” at least manage to close things off competently. Musically, Shodai: Nekketsu Kouha Kunio-kun largely failed to hold my interests. Falling on the weaker side of the series’ soundtracks, it’s an unfortunate and rather bland collection of similar-sounding tracks that offer limited variety. Though the sound quality itself is of decent standard, it isn’t taking the system to its limits. It’s a somewhat weak way to start off this collection, but that shouldn’t be considered an indication of what’s to come. Kunio-kun no Dodgeball da yo: Zen’in Shuugou! Super Dodgeball was one of the more popular sports titles on the NES, so it’s a shame that its sequel Kunio-kun no Dodgeball da yo: Zen’in Shuugou! never saw a U.S. release. Almost like an enhanced remake, the SNES version featured even more customization options alongside the expected quality increase of graphics and sound. 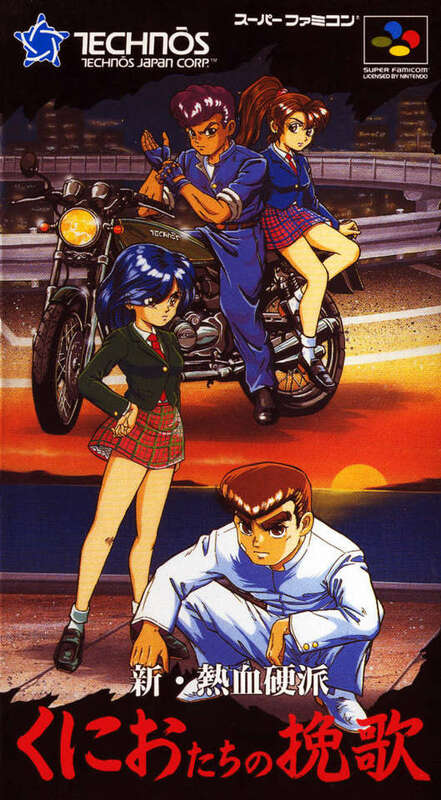 Kazuo Sawa, Chiaki Iizuka, Reiko Uehara, and Kiyomi Kataoka were responsible for the game’s varied soundtrack, and it is definitely an improvement over Shodai: Nekketsu Kouha Kunio-kun. “Opening” and “Meeting” are merely enhanced versions of what was originally heard in the NES version of Super Dodgeball, though it gives listeners a hint of the new game’s soundscape. “Shopping” and “Player Select” are repetitive, though the latter has an infectious melody that’s not too bad. 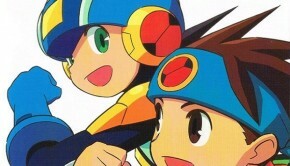 The game’s stage themes, however, make up the bulk of the game’s score and offer its best moments. “Japan” begins with the opening notes of the traditional Japanese folk theme “Sakura Sakura,” but quickly transitions into an original piece, unlike the NES version which was simply an 8-bit variation. The melody here is well-composed and definitely keeps the Japanese-inspired tone. Swirling scales and samplings of what I assume to be koto or shamisen keeping things lively. Similarly, the theme for the game’s England team is re-worked into a new melody. The original NES track was an arrangement of two Beatles songs “Hard Day’s Night” and “Get Back,” though hints of both can still be heard. Primarily though, it relies heavily on a piano/organ combo, something that works surprisingly well together. The melody contains both spirited emotion from the organ and playfulness from the piano, affecting me far more than I thought it would. The most developed track is “Italy,” which begins with an unforgettable jingle that transitions into a happy, upbeat melody. The synth strings responded with resonance, while the other sections match it perfectly with excellence. It’s the best stage theme in the entire score, and one of the most memorable in the entire series. Also strong is “Iceland” which samples xylophone paired with bass, perfectly befitting of a barren cold landscape. “France,” on the other hand, hardly reminded me of anything Francophone. The synth is unfortunately not of good quality, and the melody is bland. “Germany” fares much better, however, and like the triumph track “Russia,” reminds me of the nationalism of the Romantic era of music. Perhaps that’s giving a little too much credit for a 16-bit soundtrack, but praise must be given to the composers for creating something that attempts sophistication. “India,” “China,” and “Arabia” are all similarly composed and rely on ethnic instrumentation to create atmosphere. I’d say that “China” is the best of the three, though they all work well in context. “Arabia” is tinged with Middle Eastern instrumentation, though it’s a bit vague as to what country the developers were trying to capture. Continuing on with the other stage area themes, we have “Kenya” which carries the plains of Africa with its bass lines and folksy flutes. The tropical jungles of “Brazil” are captured in Latin-like bout of piano notes, a choice of instrumentation which is effective and captivating. “United States” is a bit harder to describe, but the soundscape reminds me of hip-hop and urban beats. Brass samplings are aplenty and there are even some hints of jazz. What’s stranger is that there’s a stage theme entitled “Outer Space.” The melody relies on futuristic electronic synths and is impressively mixed overall, though isn’t quite as memorable as it could have been. The remaining tracks are an assembly of in-game jingles and a very brief (read: repetitive) ending theme. At the end of the day, is the music here an improvement over Super Dodgeball? From a sound quality standpoint, the 16-bit synths allow these area tracks to be far more “worldly” then their previous 8-bit versions. I also appreciated the fact that the soundtrack was composed to be different than the NES version, when a simple conversion of the chiptune tracks could have been the easy way out. That being said, I do feel that Super Dodgeball wins in terms of sheer memorability. Don’t get me wrong, Kunio-kun no Dodgeball da yo: Zen’in Shuugou! adequately delivers. It’s a soundtrack that ranks in my mind as one of the Super Famicom’s better offerings, but falls slightly short in the actual melody department. The non-area themes are also completely forgettable, though that was also an issue with Super Dodgeball as well. Either way, it’s a 16-bit score that won me over for the most part and represents a strong section of this box set. Given Japan’s love of baseball, it’s somewhat surprising that Kunio-kun never started playing the game until the Super Famicom. But in the end, that wait was worth it because Downtown Nekketsu Baseball Monogatari is a sports title that shows surprising depth for being a 16-bit release, and again a real shame that it never made it to our shores. While the Kunio-kun dodgeball games were straightforward since the music merely had to represent a particular country, Baseball Monogatari features over a dozen different high school teams each with their own unique theme. It represents the bulk of the second disc at 40 tracks. The soundtrack begins with “Awards Ceremony ~ Chairmen Meeting Greetings” and “Technōs Fanfare,” two very brief tracks that are march-like tunes which lead way into “Title.” Triumphant, bold, and brassy, it opens the game on a strong note. It is notably more serious than the title screens for the other Kunio-kun sports games, perhaps reflecting on how much Japan values baseball. “Other Screens” and “Member Table Submission,” still relying on brass, are used for the game’s various sub-menus and team selections. Despite not serving particular importance, I think they capture the pre-game emotions and anticipation in an effective way. Moving on, we get into the themes for each high school team. “Nekketsu High School,” the team by default, is heroic and spirited, but with an underdog vibe. It reminds me of the game showing Kunio and his friends having the spirit of baseball within them, but seeing the long road ahead to victory. “Hanazono High School” contains a somewhat sinister vibe, though is not as strong as the previous team. “Treasure Mausoleum High School” picks up the vibe with a theme that is almost Latin-like with its instrumentation. “Tanihana High School” has an even better melody, with xylophones being introduced as backing. “Shirataka Industrial School” is similar to Tanihana, but offers more variety with its transitions between the various instrument sections. “Kirasame Business High School” and “Hiyamine Academy” are rousing with their melodies, moving forward at full force akin to a montage. “Meian High School” and “Mt. Kokuryu” create variety among its sections, giving time to each one and combing them all into tracks that are full of style. “Muen Business High School” forgoes the brass for a more delicate melody, complete with synthesized orchestral flourishes. “Aizen Commercial High School” is uplifting and more positive, having a melody that keeps its strength the whole way through. “Fukubu Academy” is the only team theme which has any sort of Japanese aspect to it. The opening section is likely sampled from koto, then transitions into the mid-brass section. Though both instruments are quite different from each other, they work together well. “All-American Team” is additionally distinct from the other team tracks, having a foreboding brass melody that stands in the way of the final win for Kunio’s team. At this point, we are at the halfway point of the soundtrack, so what comes next? Many more of the tracks are simple jingles or filler pieces marking events as game overs, but there are a few other substantial tracks of note. “Tension (Small),” “Tension (Inside),” and “Big Tension” are exactly what one would expect when it comes to fast-paced themes trying to create, well, tension. Low-octave instrumentation, breakneck speed tempos, and swirling notes; they accomplish what they set out to do, but fall into repetition. “Sad Death” is a melancholic loss theme, though feels somewhat schmaltzy. “Showdown of Destiny” is far more successful, however, in being emotional and capturing the right atmosphere towards the final moments of the game with a cinematic feel. After Kunio and his team finally win their game, “Nekketsu High School Loud Singing” celebrates victory in a triumphant march. If that wasn’t enough, there are a total of four different ending themes which close off the game. And despite being limited by 16-bit synth, all of them end up finishing the soundtrack spectacularly, evoking strong feelings from the player. Downtown Nekketsu Baseball Monogatari is a huge step forward from the other 16-bit Kunio-kun soundtracks, and represents what I view to be one of the best in the entire series. Though some may fault the composers’ decision to use primarily brass for the team themes, each one is overall exceptionally varied and pleasant to listen to. It was no doubt a difficult task to create different melodies for each theme, but the results are generally successful. Some other extraneous themes may be forgettable, but it’s overall a very accomplished score. Here’s something that most wouldn’t associate with the series, a Kunio-kun puzzle game! Akin to “shape sorting” titles like Puyo Puyo and Yoshi’s Cookie, Kunio-kun no Oden has players clearing lines of sushi and other Japanese foods. Being a puzzle game, however, the music is not as expansive as the other Kunio-kun entries and instead only has a handful of tracks. The opening track “Oden! Be ambitious” is a ragtime piece with jazzy vibes that sets the cheerful tone of the game, while “Oden’s Den” and “Oden Recipe” are repetitive filler tracks. Moving on to the actual level themes, “Tac-To” somewhat disappoints with an uninspired melody, but “SU・KA・TA・KO” ends up being more memorable. “Pounded Fish Cake” surprised me with its high quality synth and audio feats. Harkening back to retro synth while switching back and forth between various sound channels, I almost forgot that I was listening to a 16-bit track. It’s definitely the most impressive piece in the game. “Konnyaku Mambo” is cutesy and carefree with clever instrumentation, but will likely be confectionary to most ears. Not counting in-game sound jingles, the only other substantial track is “Lover to Friend,” the ending theme. Considering the fact that the player will likely spend many hours with this lengthy puzzle game, it’s a mellow track that does well with tying things up. As a whole though, Kunio-kun no Oden’s soundtrack is too brief and insubstantial for me to really recommend it as a stand-alone listen. Though pretty effective in-game, this is simply one of those scores which doesn’t do it in isolation. 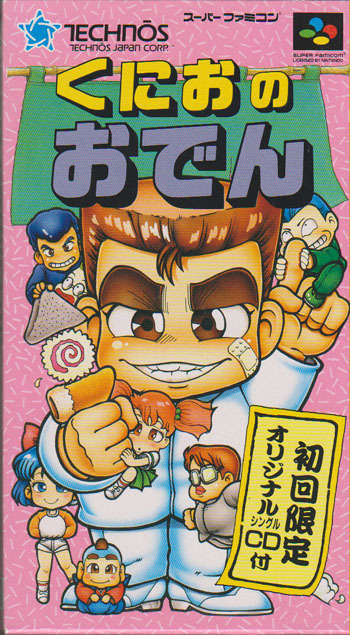 The final Kunio-kun game for the Super Famicom, Shin Nekketsu Kōha Kunio-kun: Kunio Tachi no Banka (rolls right off the tongue, doesn’t it?) had Technōs pulling every trick they had into creating their best entry in the series yet. With gorgeous 16-bit pixel art and top-notch level design, the game told a cinematic story of Kunio being framed for a hit-and-run through cutscenes with an overarching narrative. While the previous Kunio-kun Super Famicom games could have easily been released outside of Japan, the violent themes of this particular title were probably the biggest barrier in securing a localization. As for the soundtrack, this is easily the most realized score in any Kunio-kun beat ‘em up and the strongest on the Super Famicom. More movie-like than its predecessors, Shin Nekketsu features a lengthy (for SNES standards) opening sequence that sets up the game’s thriller story. The ominous “Prologue” is dark and intriguing, establishing a cold open that shows Kunio and his friend Riki being arrested for a crime they did not commit. The player chooses who to play as in “Mode Select,” while “Imprisonment” and “In the Prison” are more examples of “scene tracks” used for story moments and the effectively set the mood well. Things heat up when Kunio and Riki decide to establish themselves as tough fighters in “Prison Battle.” The urban synth and funk aspects portray them easily overtaking their fellow inmates. Earning the prisoners’ respect, tactics to escape are discussed in the minimalistic “Jailbreak Plan.” Once everything is established, the rock-inspired “Title” and subsequent brass track “Escape from Prison” puts their plan into action as they make a hasty getaway. In order to find the truth of what actually happened, Kunio and Riki will traverse locations all throughout the city fighting gangs and enemies with assistance from their school friends. It is with these area and battle themes where Shin Nekketsu soundtrack really shines. “Nekketsu High School Pool” creates a calming and soothing atmosphere in contrast to the game’s regular gritty soundscape, while “Nekketsu High School Building” goes back to 80’s-like urban synth. “School Scuffle” is a frenetic combination of heroic keyboard synths, harmonic brass, and crisp percussion samples that is bursting with energy. “Conversation with the New Boss,” on the other hand, is too repetitive for my liking and suffers from having no real direction. Kunio and his friends’ travels take them to rival Hanazono High School, this location having a theme that implies danger and fear. Following this, the scene transitions to an amusement park. Happy and upbeat alongside xylophone, bells, and 8-bit synth; it’s a nice change that demonstrates the score’s variety. “Roller Coaster” is funky with hints of techno and is a delight to listen to. “Hot Battle Theme” is slow rock with lots of tension built up, though works well in thematic progression as Kunio’s gang gains the upper hand. 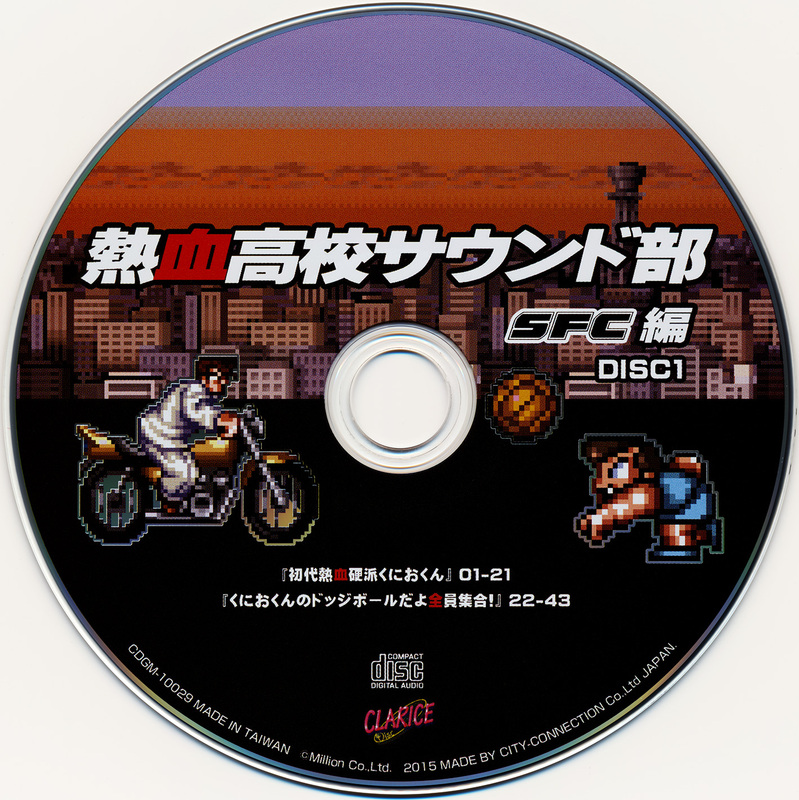 The synth for “Motorcycle Chase,” in addition to the later tracks “Depot 1” and “Depot 2” remind me of what is usually heard on the Sega Genesis/Mega Drive. Regardless. It overall fits well with Kunio-kun’s beat ‘em genre and I imagine that Yuzo Koshiro would be proud. “Harbor” keeps the rock vibe and is also laid-back with an aura of coolness. Another effective piece that works well both in-context and on its own. The beat alone for “Reconciliation with a Mountain” is so good that it would not be out of place in a Michael Jackson pop song. It’s time to get the groove on though, because Kunio and is friends have just crashed the disco. “Outside the Disco” is like a tease of what’s to come, being a subtle combination of funk and city music. The effect comes in at full force with the following track, “Inside the Disco.” Having a fantastic melody that goes all out on all sections, it’s perhaps the standout track in the entire game. “Anti-Social Power” consistently has a militaristic beat with a triumphant melody on 8-bit synth. “A Threat of a Monster, Again” continues with this theme, but instead uses brass for the melody. “Usual Firearms” is the strange with its airy synth and carries the feel of high stakes being involved. Brilliant instrumentation and bursting with emotion, these tracks fit the Kunio-kun universe well. The most developed of these “final stage” themes, however, is “The Way to the Showdown.” Dark, cinematic, and with a wistful but hopeful melody, it’s simply fantastic in every aspect. It is followed by the effective “Infiltration” and “Villa,” the latter being especially impressive with its piano keyboard ballad and rhythmic backing. After fighting their way through numerous baddies and henchmen, Kunio meets his look-alike Ken who has been hired by yakuza leader Sabu to frame him. The final boss theme, “VS Ken” is a cool urban theme that feels relaxed and confident, despite the serious circumstances. Having come out victorious, Kunio can at last go back to his regular life with his friends. “Ending” is a rock-based happy track that ends this masterful soundtrack on a satisfying note. Two unused tracks are additionally included, which sound very much like experimental demos with the game’s audio. Shin Nekketsu Kōha Kunio-kun: Kunio Tachi no Banka undoubtedly has the best soundtrack of the Kunio-kun Super Famicom games, if not the entire series. Having developed and mature tracks which represent the pinnacle of Kunio-kun, this surprisingly sophisticated 16-bit score is on the same level as something like Streets of Rage 2 or Final Fight. What is most disappointing is that the fact that this game never saw light outside of Japan and is relegated to near total obscurity among many retro gamers. That is an all and out shame, because Shin Nekketsu has a retro soundtrack which should not be missed by anyone who is a fan of chiptune. It is worth the cost of this anthology alone. The remainder of the third disc consists of very short arranged versions of certain tracks from the Dodgeball and Baseball games. While done generally well and with higher quality synth, I only wish that these pieces could have been given more development. Considering that there’s been arrangements of this series’ music before, the Super Famicom soundtracks have unfortunately been neglected. A potential future album of remixes would definitely be welcomed. This is a strange soundtrack to recommend because it is an unfortunate fact that the majority of Western gamers will have no familiarity with any of these games. The package itself is incredibly well done by City Connection, combining five previously-unreleased Super Famicom soundtracks into a complete, affordable three-disc package. However, The music itself can be a mixed bag, ranging from exceptionally strong to forgettable and mediocre. Shin Nekketsu Kōha Kunio-kun: Kunio Tachi no Banka is the best of the bunch, tied closely with Kunio-kun no Dodgeball da yo: Zen’in Shuugou! I would consider Downtown Nekketsu Baseball Monogatari to be a slight notch below, but still fine, while the other two games on this collection to be more on the weaker side. Though being a fan isn’t necessarily per se to get enjoyment from this album, I’d definitely say that one would have to be a chiptune lover in order to really like it. If one can get past these barriers, then the result is a comprehensive collection that will please its intended audience. Posted on August 10, 2015 by Oliver Jia. Last modified on September 5, 2015. Great review Oliver! Really appreciate you going into detail about what the games are about, helping give us Westerns some much-needed context.